Farewell Party for the lovely Trooper beer from the mighty IRON MAIDEN and Robinson's Brewery. We have Live Music on the night from our resident band Buffalo Fish featuring Ex-Iron Maiden guitarist Terry Wapram and the amazing Johnny Carol. 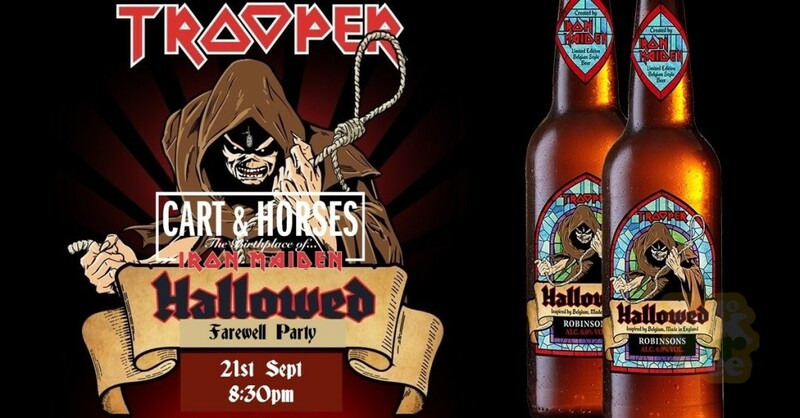 At the end of the show we will be giving away any Hallowed Trooper beer boxes left plus few more surprises/merchandise for only £2.